500 games in version 2.50 - more coming in future versions. 70 bonus games in the full version - 570 total games! April 16, 2013 - version 2.46 - 20 new games for 460 games total. February 5, 2013 - version 2.44 - 20 new games for 440 games total. January 8, 2013 - version 2.42 - 20 new games for 420 games total. November 27, 2012 - version 2.40 - 25 new games for 400 games total. 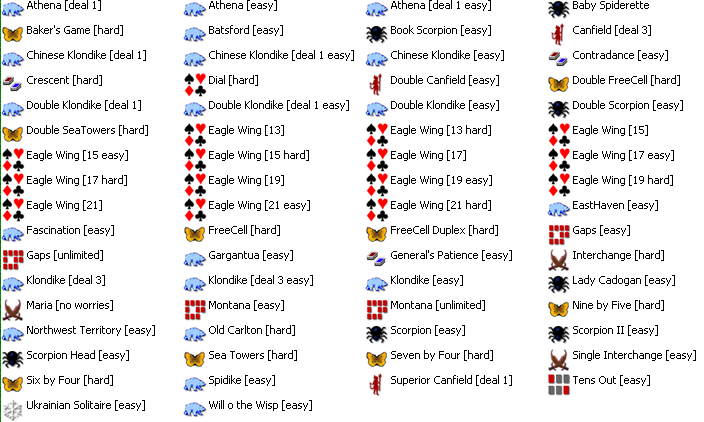 November 4, 2012 - version 2.38a - Fixed undo bug in some mostly Klondike type games. October 30, 2012 - version 2.38 - 25 new games for 375 games total. October 2, 2012 - version 2.36 - bug fixes, Mountain Lion and Gatekeeper support. 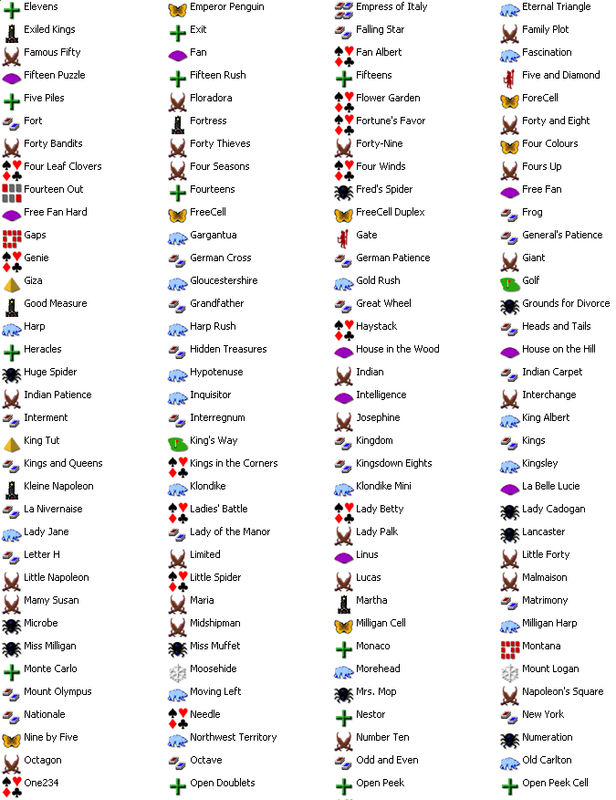 April 24, 2012 - version 2.34 - fixed bugs in Blind Patience, Miss Muffet, and Eight Off. January 19, 2012 - version 2.32 - fixed bug for older PPC systems. January 10, 2012 - version 2.30 - 350 games. - added 50 new games for 350 games total. May 3, 2011 - version 2.20 - 300 games. - added 100 new games for 300 games total. - added new game groups to group games by type. August 17, 2010 - version 2.12 - maintenance release. February 10, 2010 - version 2.11 - maintenance release. - bug fix: program crashed after winning matching game with right button. - bug fix: program crashed intermittently when playing startup audio. - bug fix: help file failed to launch for Accordion due to name misspelling. - bug fix: deals in Fan were slightly different to those in PGS [Windows]. - bug fix: 'High Scores' dialog box crashed intermittently on interactions. 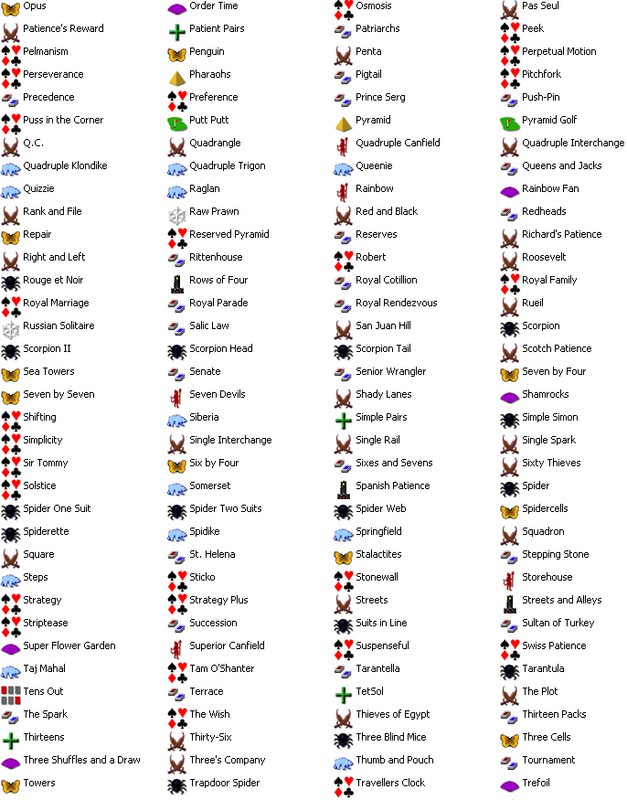 - bug fix: help file rules for Indian Patience incorrectly described card deal. - bug fix: Stonewall did not undo correctly causing invalid positions. - bug fix: Accordion failed to undo correctly when shifting multiple spaces. - increased width of score type column on 'High Scores' dialog box. December 15, 2009 - version 2.10 - 200 games. - added 99 new games for 200 games total. 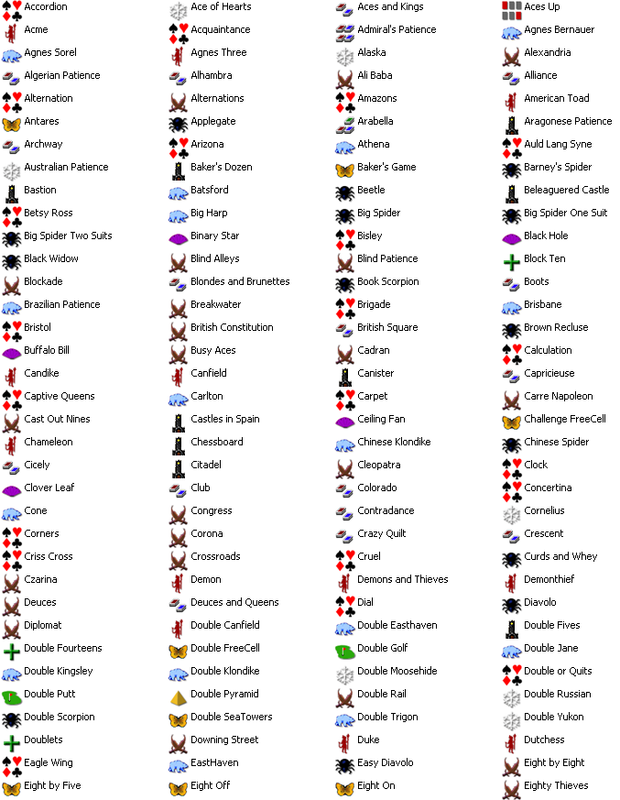 - added 10 new full version bonus games for 245 games total. August 11, 2009 - version 2.02 - maintenance release. May 5, 2009 - version 2.01 - maintenance release. March 24, 2009 - version 2.00 - 101 games. November 21, 2007 - version 1.01 - maintenance release. 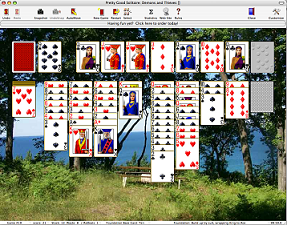 November 6, 2007 - version 1.00 - original 30 game version. Copyright 1995-2014 Goodsol Development Inc., PO Box 9155, Springfield IL 62791.